Fitness FAQ - What Is The Best Exercise For Building Abdominals? 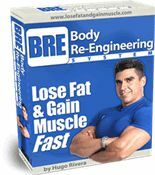 Fitness FAQ – What Is The Best Exercise For Building Abdominals? 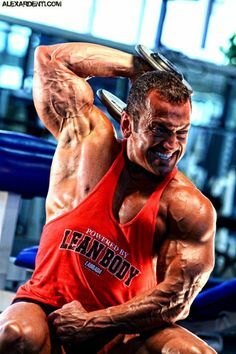 Question: Bodybuilding FAQ – What Is The Best Exercise For Building Abdominals? I do not have a lot of time to workout and, as a result, I like to choose exercises that give me the most results from the little time that I am able to spend in the gym. I only have time to do one, or at the most, two exercises to work my abdominals. Could you tell me what exercise, in your opinion is the best one for building good abdominals? Answer: In my opinion, the best abdominal exercise for building an awesome midsection is the bicycle crunch. If I could only choose one abdominal exercise to do, this one would be the one for sure. As a matter of fact, the American Council of Exercise (ACE) recently conducted a study at the San Diego State University comparing the effectiveness of several abdominal movements. What my experience at the gym taught me to be true was proven by the researches when the bicycle crunch came in as the abdominal exercise that produced the most activity (and thus, the most training stimuli) out of the group of exercises they looked at. The key to making the bicycle crunch work for you is to use perfect form. Concentrate on perfect execution of the movement, getting a good contraction and feeling the abs throughout the movement. 1. Lie flat on the floor with your lower back pressed to the ground. For this exercise, you will need to put your hands beside your head. Be careful however to not strain with the neck as you perform it. Now lift your shoulders into the crunch position. 2. Bring knees up to where they are perpendicular to the floor, with your lower legs parallel to the floor. This will be your starting position. 3. Now simultaneously, slowly go through a cycle pedal motion kicking forward with the right leg and bringing in the knee of the left leg. Bring your right elbow close to your left knee by crunching to the side, as you breathe out. 4. Go back to the initial position as you breathe in. 5. Crunch to the opposite side as you cycle your legs and bring closer your left elbow to your right knee and exhale. 6. Continue alternating in this manner until all of the recommended repetitions for each side have been completed. Notes: While you cannot add resistance to this exercise you can concentrate on perfect execution and slow speed. What Other Exercises Are Good? In case you are wondering, leg raises performed on the vertical leg raise chair (the one with a back padding and handles also known as Captain’s Chair) came in second place and crunches performed on a stability ball (also known as a Swiss ball) came in third. If you only have time for one exercise I would then do 3-4 sets of anywhere between 15-50 repetitions of bicycle crunches Monday, 3-4 sets of leg raises on the vertical leg raise chair on Wednesday (15-25 reps), and 3-4 sets of stability ball crunches on Friday for 15-50 reps. You can do them right before starting your workout as that serves as a great way to warm-up. Rest only 30-60 seconds in between sets. 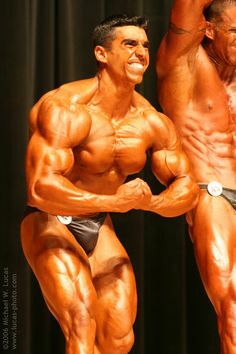 Keep in mind, that without a proper bodybuilding diet that emphasizes fat loss and without cardiovascular exercise you will not be able to achieve the level of definition that will enable you to see the results of your hard abdominal routines; unless, of course, you have great genetics or are a naturally skinny hardgainer. Also remember that abdominal exercises only help to build up and tone the muscles of the midsection. 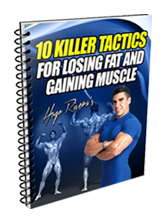 However, as I mentioned on my Bodybuilding Abdominals Training Guide, the diet and the cardiovascular exercise are the components of the bodybuilding program responsible for reducing the levels of body fat that are covering the abdominal wall. 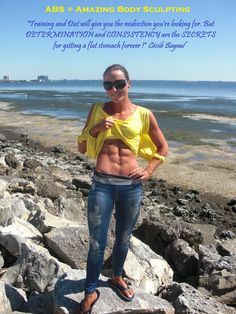 Once you go below ten percent body fat you can start seeing your abdominal wall, and every percentage that you drop from there will give your waistline a much more impressive appearance. Leave a Comment with Facebook for Fitness FAQ – What Is The Best Exercise For Building Abdominals?